In a Matchbook School, every student starts each subject not at their age or grade level, but at their unique competency level for that subject which could mean they are ahead, behind or at their grade level when they start. So how exactly do students navigate down this personalized learning path and know what to do next when? We describe this personalized pathway using our “GPS Board” similar to how a car or smartphone’s GPS system navigates you to where you want to go from wherever you are, step by step. 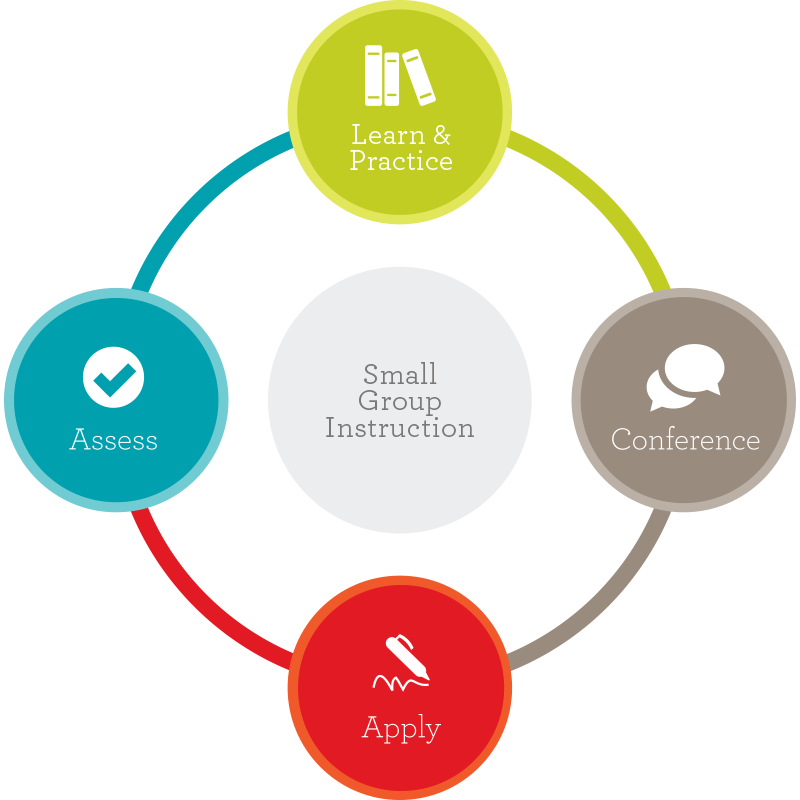 Our GPS system has four navigation steps in a student’s continual but personalized learning pathway. This four step continual learning process enables students to be met where they are, progress when ready based on demonstrated applied mastery, and exercise their own agency over their own learning resulting in higher accountability. The Matchbook model is a competency based personalized learning pathway; an entirely new classroom for a new world of learners. We define our instructional blocks in timed segments to introduce content standards through "do nows" and engage students in formative assessment strategies for learning and practice on our SPARK platform. Takes place 1:1 with teachers, in peer groupings, and for intervention purposes related to our curated playlists and bundled standards. Our rigorous applies are based on the three legs of understanding pursuant to common core standards. We want our students to be able to show procedural tasks understanding. We also want them to show how to apply a given standard or set of standards via conceptual understanding of "how" to think about solving a given problem. All of our assessments are aligned to PARCC or Smarter Balanced exemplars in order to build stamina and familiarity with nationally normed assessments.